Work for Remember the Milk? Learning about Remember the Milk? "Remember the Milk is the real deal for efficient tasks management." I just like how simple this software is when using it and navigating all it's features and functionalities.Assigning and managing tasks to my team is simplified by use of RTM. Team members also collaborates well with sharing of tasks,projects and files thus achieving more.The support team is very recommendable as we get instant feedbacks when we contact them.The simplicity of using this software and setting it up is very impressing thus everyone can use it even without any training needed. Ever since we started using this software performing task and projects has become very easy in real-time thus I cannot find anything as a critic as it's very reliable and useful. It's a very reliable way of managing task and projects easily thus very recommendable. We can now customize this software in a way to fit and match all our needs. Easy to track tasks and projects profess thus getting a clear insight of our workplace. Low cost plan thus affordability. "Manage more tasks and projects and remember more with Remember The Milk." I likes how its possible to manage tasks,to do lists and projects from anywhere using multiple platforms that like computers and mobile phones. This software reminds us every time through its task reminder option on deadlines of completing assigned tasks and projects. This software sync seamlessly on all devices thus we uses we uses in our organization. It very easy to use and to setup doesn't consume alot of our time. Tasks and projects progress is easy to track with RTM. This software is very crucial in achieving more productivity on to do lists,tasks and projects thus very suitable to any kind of business organization. Team members collaborates effectively by sharing their to do lists,tasks and projects thus getting everything done faster yielding high results. Task and projects management is easy. "Tasks management at it's best with Remember the Milk." I like the way its easy to add tasks, create or share to-do- lists and assign tasks with due dates to team members effectively.Again the ease of setup and simple user-friendly interface makes this software to be very easy to use and navigate.Likewise,its easy to track time against tasks and projects thus keeping team members organized and focused.Moreover,I like the way its easy to customize this software according to our organization needs.Additionally,this software is very cost-effective thus affordable to any size of business enterprises.Furthermore,it has a free trial version that is very crucial in the initial setup and implementation.Finally,task and projects management is at breeze with Remember the Milk. I absolutely haven't found anything to dislike about this software so far because it does what it's intended to do thus meeting all our needs. I highly recommend this software without hesitation for tasks and projects management. This software makes it easy to organize,prioritize and manage tasks,to-do-list and projects for my team members. Team members collaborates effectively with this software when performing tasks and projects thus increasing productivity. 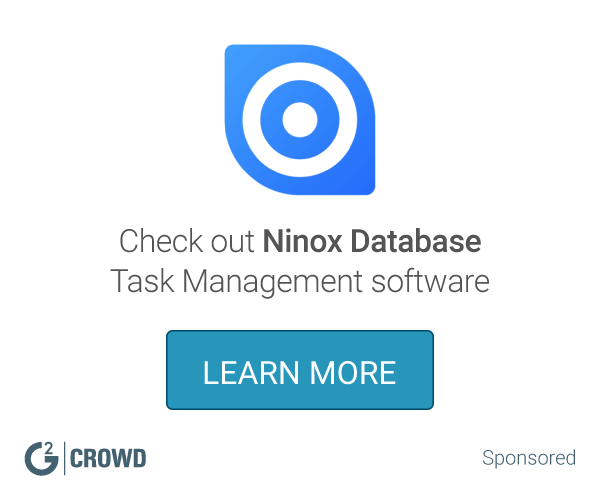 "A great to-do-list software for task management." I like the way this software reminds us of tasks and to do list to perform by sending emails notifications. Through this software it easy to share share to do lists and tasks with team members thus enhancing team collaboration and getting everything done faster. Tracking every task and projects progress is made simpler with this software. I like the way I can use this software on my Android phones as it has great mobility support. At times the interface of this software tends to be confusing thus it's should be designed in a way to make it look more intuitive and eyes appealing. Yes,they should try it's free trial version because it's worth using. Easy time tracking on tasks and projects. Easy to schedule,arrange,organize,prioritize and manage to do list and tasks to my team. Generation of timely reports on tasks and projects. "Great Place To Keep Track of To-Do List"
I like that I can access my to-do list on any device, every task can have a due date, and I can sort and search through tasks on the list. It's free. There are some features you would have to pay for, such as viewing old tasks that were completed a while ago, which would sometimes be handy. It's free, so give it a try and see if it helps you organize your to-do list. I can be somewhat disorganized when it comes to my to-do list at work. Remember the Milk keeps me on track and I'm no longer relying on random bits of paper and post-it notes around my desk. In the morning, it even emails me the tasks due today. I like being able to separate task lists by category, date, and location depending on what I'm doing. The flexibly is really helpful. RTM has continued to improve over time. I am a long time user and would be lost without it. I really like the occurrence feature to be able to set a task for a frequency when needed. The reminders are also very helpful and have saved me a few times. Also, the teams feature has been a huge improvement. You can now easily assign tasks and quickly communicate on the project. I don't have many dislikes. I do hope it will continue to expand the offerings and make it easier for groups to utilize. It would be great to see some additional integrations to make it easier for teams to adopt. The calendar and email integrations are helpful, but more project based software would be a game changer. Try the free version out. After a couple days you'll see why it is worth paying for, but the paid version has some great features like the auto sync so you can use the browser and app and aren't stuck on just one platform. Staying organized and better managing tasks are the main problems it has helped solve. The benefits have been seen in how I manage my day and better manage my time now. RTM has continued to helped improve productivity and being able to complete projects and tasks on time. "Management of tasks and projects at a breeze with Remember The milk." The simplicity of this software is like A,b,c...hence doesn't require my team members to have a long learning curve. I like also the way I can assign tasks and projects to my team members. Time tracking on task and projects is easy thus putting more focus on projects. Easy to customize the software to suit best all our needs. Easy to organize and manage tasks,to do lists and projects. Task prioritization is a guarantee with this software. Haven't found anything negative vibe while using this software its worth having and recommending for how its way to use and setup. Remember the Milk is the real deal for managing tasks and projects effectively. Team collaboration in real-time when teams are performing tasks thus yielding more results on projects. It´s a friendly options to manage our personal To Do list. It has a relaxed appearance even something childish. would be a good option to start with the management of activities and projects. The sharing options are not as good as in other similar applications. That's why it works better as a personal task manager than a work group. none, because the most useful features come in the full version and the price for it is ridiculous. "Phenomenal task management/to do list"
I can...access from my phone, laptop and work computer and it syncs effortlessly; create different lists to keep work and personal stuff separate; use tags to easily view tasks related to the same project all in one place; set a date to start working on something (this was a feature that other apps lacked), set a priority; estimate the time it will take to complete each task; set recurring tasks; quickly add all the details of each task with keyboard shortcuts; view what's due today, tomorrow and in the upcoming week; create smart lists to see what I need to start today or in the next few days or see only tasks that take a certain amount of time to complete; search for tasks; and get reminder emails or texts for tasks. I also find it quite cool that RTM will tell me how much time my tasks will take for each list and each day (based on my individual estimates). By the way, I get all of the above on the free version! The app isn't equipped to handle traveling to other time zones. Whenever I travel to another time zone (behind my home time) all my due dates switch to a day early (which can become quite confusing). It seems the browser version doesn't have this issue, just the app. Go for it! I compared and tested A LOT of task management apps and websites before choosing RTM. Two main things RTM has that other apps don't are: ability to access and sync from multiple devices (app and web browser) and set start dates for tasks. There is so much more to love about it though. You can't go wrong giving it a try. I wish I had started using RTM sooner! It has made managing my tasks so much easier and I am much more productive and efficient now. It's easy to use. Intuitive. It exports to a printed checklist for Luddites, and attaches files for digital natives. It's simple but powerful. I really don't think there's anything I dislike about this app. I have used it for about four years and I adore it. I suppose I like free things, but I think it's priced well too. Highly recommend the paid version. It's 100% worth it. If your collaborator can't adapt to the smartphone or desktop app, they should just print the lists. I don't enjoy nagging my direct reports. It's great that they can control their own reminder schedules. I also don't have to argue about documentation or misconceptions, because everything is visible right away. There's no way to be confused about who is doing what. "The best alternative for projects and tasks management"
I like everything about this software starting from easy implementation and setup,ease of use,simple and intuitive UI,easy features and functionalities,accessibility on many devices and cheap prices. I also like how we get alerted easily on tasks and projects. Assigning,monitoring and management of to do lists,tasks and projects to my team is possible. Automation of workflow and processes is more faster with RTM thus more productivity. Nothing so far to dislike it as it's more useful in tasks and projects management. They should give it a trial Asap for easy tasks management. Easy tasks and projects tracking. "Great tool for individual task management"
Ease of use, intuitive interface, and simple aesthetics. Great synchronicity with mobile and desktop apps as well as browser version. Although it creates notifications, I've found them somewhat inconsistent at times. As a result I created some fallbacks for important tasks whereby I also get an email and/or text message when those are due. That's overkill, so I wish I were more confident about the consistency of RTM's native notifications. RTM has shared tasks and delegation features, but they're not as intuitive or robust as other systems. If you're looking for an individual task management solution, RTM is a strong one to consider. If you need to manage a team's tasks, however, think through the way RTM uses delegation because it won't likely be your strongest option for teams. It does, however, allow you to assign tasks and share them with some set up. Those features are not as intuitive or robust as its core functionality. RTM is one of the best task or to-do management systems I've used. Its smartphone app is outstanding and its quick-add shortcuts save a lot of time when added a task once you learn them. RTM's design is simple, super functional, but also beautiful in its simplicity. Over the years I've created Agenda lists to bring up items with people I'm meeting with and it can easily work well with a range of task management methodologies, like Getting Things Done (GTD). The many ways in which you can use it, very flexible. And that they're listening to their community of users. The one thing I really miss in RTM is that you can't use it like aKanban board, like for example Trello. "Quick and Easy To-Do App"
The interface is very simple. You can navigate between different views easily and because of the shortcuts, there is rarely a need to add additional details after the initial task creation. Almost nothing! At times it can be a little simplistic. It would be nice to see a little more in the way of UI, but the app is definitely headed in the right direction. If you're someone who likes shortcuts, this is a great app. Lots of "super-use" shortcuts make adding tasks simple and fast. Easy to use with many shortcuts. This app really does what it promises. "My GTD app since forever"
Cross-platform Getting Things Done personal-productivity-manager that just works (and has for a long time). I use it to manage all of my to-do's in my attempt at implementing Getting Things Done. It's easy to use. It's intuitive for Luddites (just print the checklist!) but powerful enough to satisfy a digital native. It keeps me from nagging my collaborators. Nothing, really. I think the price is reasonable for its capabilities. Yes, buy the paid app. It's completely worth it. Integrates well with Google Drive. It lessens conflict and confusion because everything is documented. It frees up headspace for creative work. "Well priced, well connected to do app"
RTM collects my to dos and lets me manage them effectively. Tags and lists let you slice and dice anyway you see fit. Smart lists are a very powerful way of creating the lists of the things you need to know. Email import doesn't work well from gmail. Not as many integrations as other to do lists. No organisations so everyone has to buy their own. To do list management and task sharing. We know what needs done and we can give tasks to each other. Easy to use when organizing tasks. Visualization of these tasks make the action processes easier. Lack of compatibility with gmail. Labelling is not as easy as it could be using another tools. "An Interesting Approach to To-Do Lists"
I think the simplicity of Remember The Milk is what's special about it. It's easy to understand what tasks I need to accomplish and what's left. There are certain features that are lacking, which could potential increase productivity. Organizing tasks and managing teams. It's also a personal productivity tool. I love that this product allows me to recieve reminders of tasks via email, text and pretty much everywhere! The cost of the product to upgrade to the pro account. I was using this on a daily basis to keep track and sort tasks/due dates. "Excellent service/app with great integration with iOS and iGoogle"
It has the ability to email yourself a new reminder, which is really handy and quick. It also has a very nice (free) iPod app and Google gadget for iGoogle. It is very intuitive and easily conforms to the GTD methodology. I had some issues syncing my iOS app and my wife's iOS app for the same Remember the Milk account. I'd love to have it integrate with Outlook tasks, but that might be asking too much for a free service/app. "Nice little online task management tool"
Remember the Milk helps me stay on task. Calendar items work well, but they don't always meet the need. So I use Remember The Milk for everything--I create a task on my computer, Android phones or tablets and they sync throughout. It sends me reminder emails, pop-up alerts and helps me trend on how late I am on some of my stuff. It is very well designed and meets my needs. I wish I could share tasks with other users. Start with the free version, then look at buying the free one. It worked, and I was temporarily pleased with it. Lack of sharing ability, it needs to be more intuitive and less guessing/troubleshooting it to work. * We monitor all Remember the Milk reviews to prevent fraudulent reviews and keep review quality high. We do not post reviews by company employees or direct competitors. Validated reviews require the user to submit a screenshot of the product containing their user ID, in order to verify a user is an actual user of the product. Hi there! Are you looking to implement a solution like Remember the Milk?